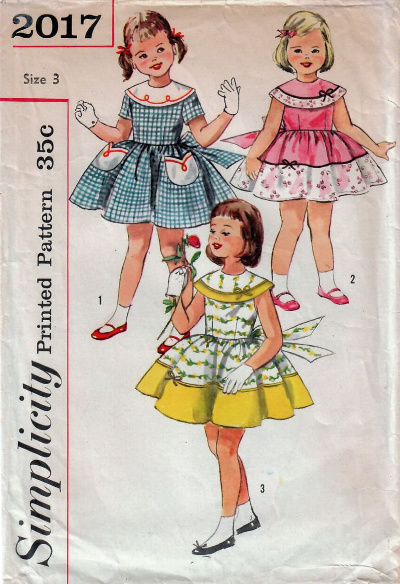 Little girls in the fifties wore the sweetest little dresses and pinafores. 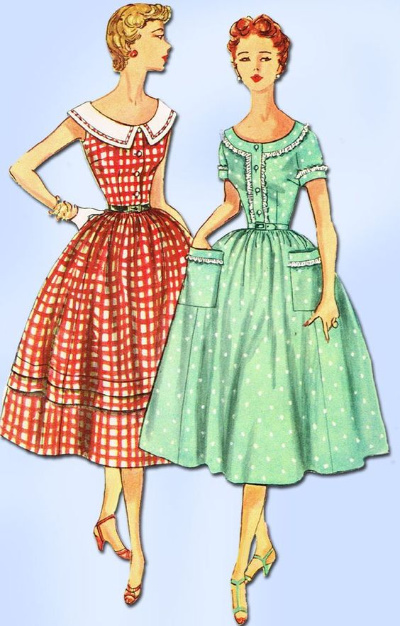 Springtime attire for both of my grandmothers were cotton day dresses usually accompanied by bib aprons. 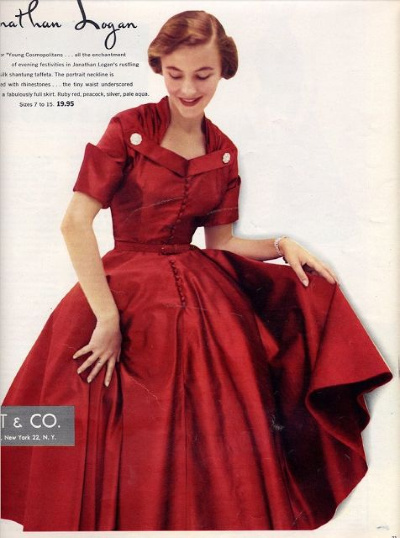 This 1952 Jonathan Logan shirtwaist dress is what many women wore to the grocery store. 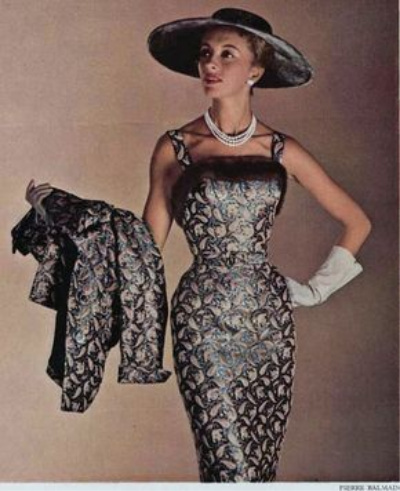 Wouldn't this sundress worn by actress Peggy Knudsen be perfect for Fifties Spring Break? 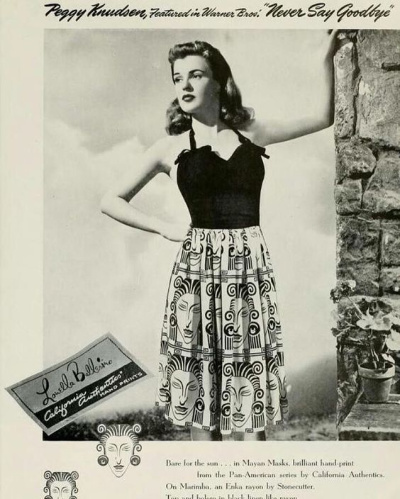 Peggy Knudsen "Never Say Goodbye"
Time to choose your new swimsuit. 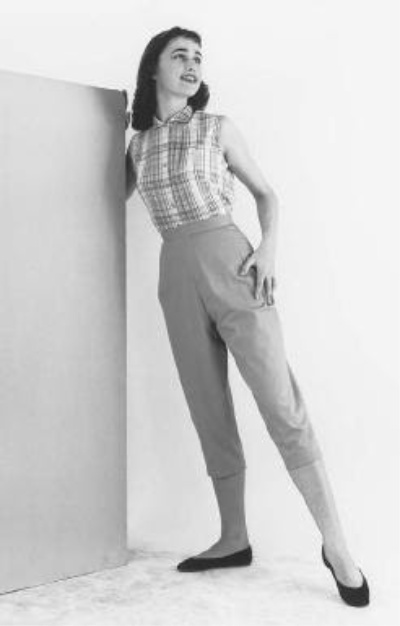 Capri pants were very popular in the 1950's. 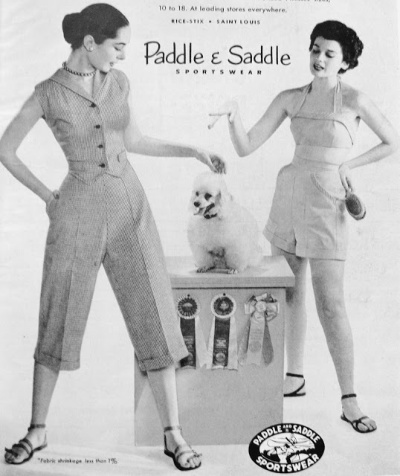 My mother called them pedal pushers. 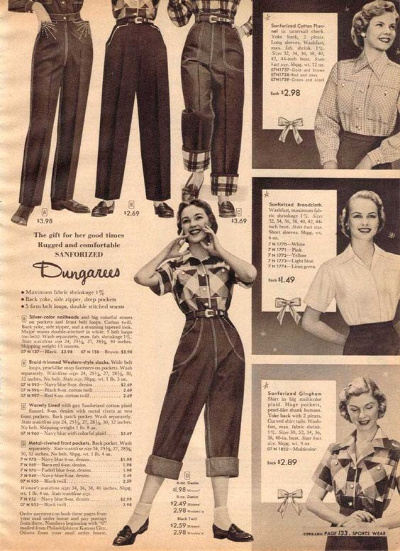 Fifties ladies often chose denim dungarees for gardening or yard work. 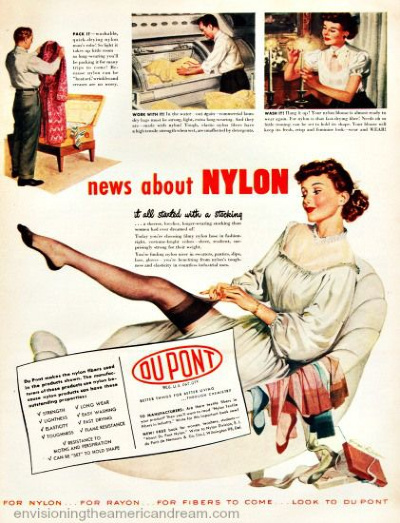 They were rarely worn away from home. 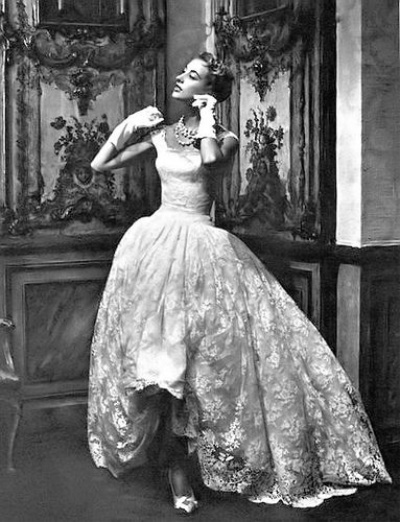 And what is spring without a new prom or cotillion dress. 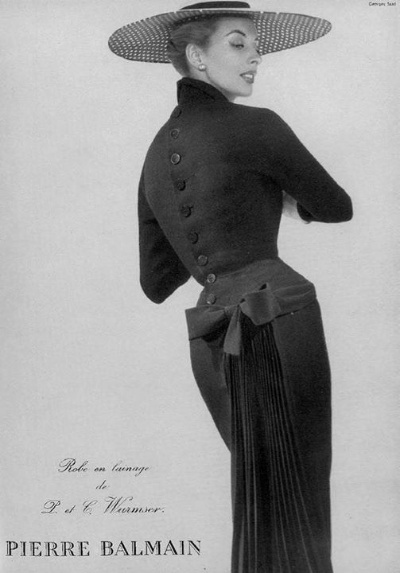 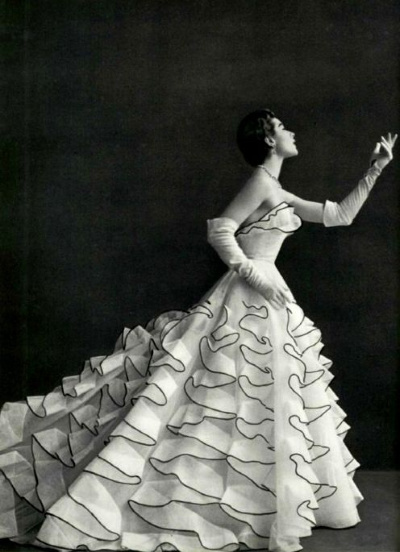 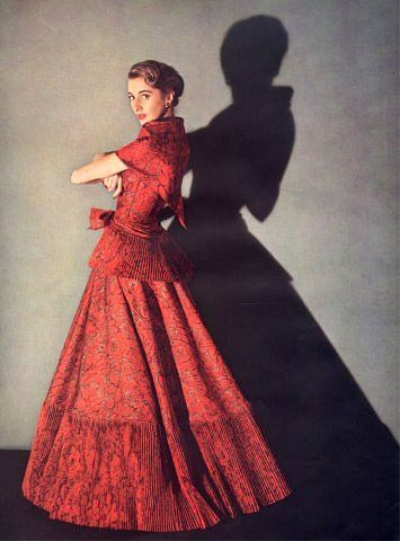 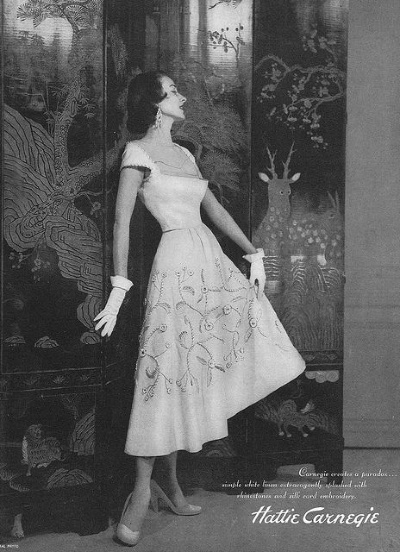 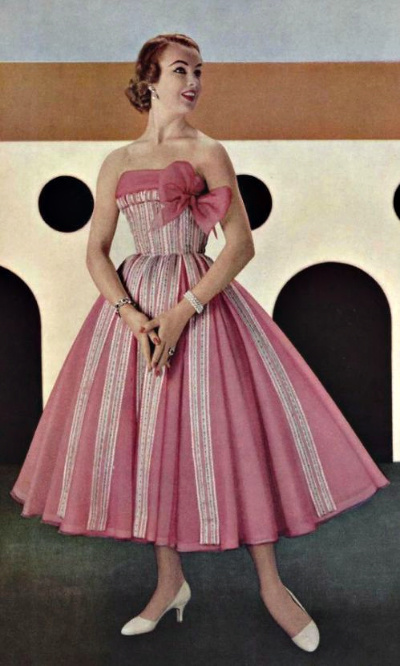 Many ready to wear prom dresses were patterned after this Jean Dessés couture gown. 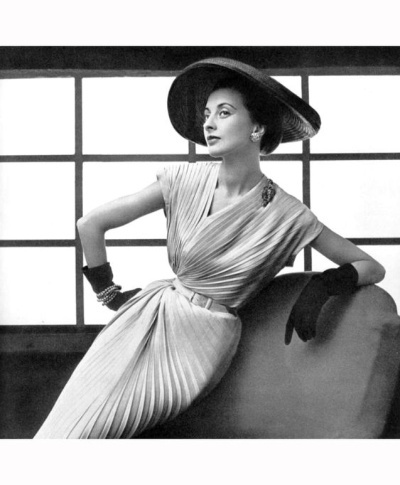 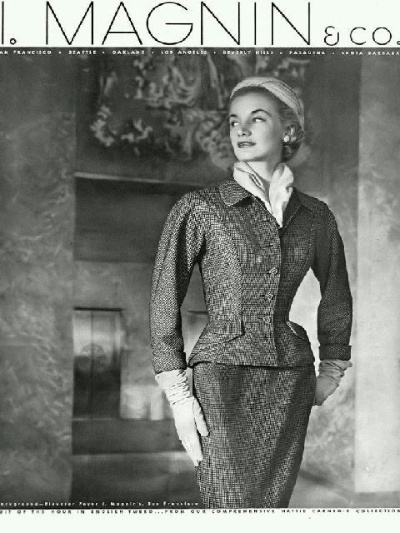 The favored outfit for most fifties ladies was summer sportswear. 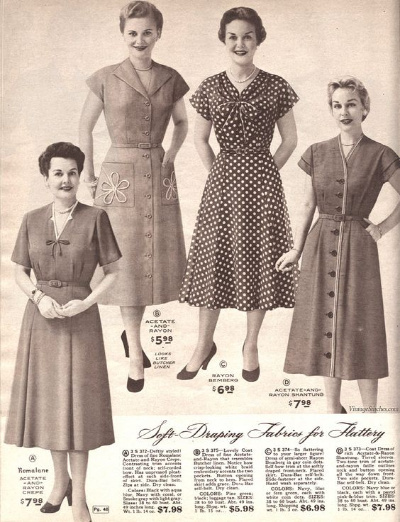 And we all wanted a pretty polka dot or gingham check dress. 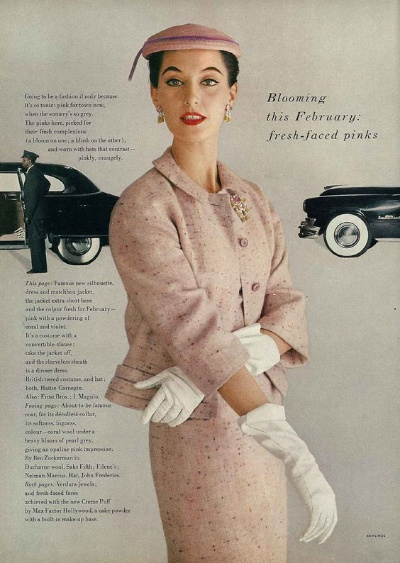 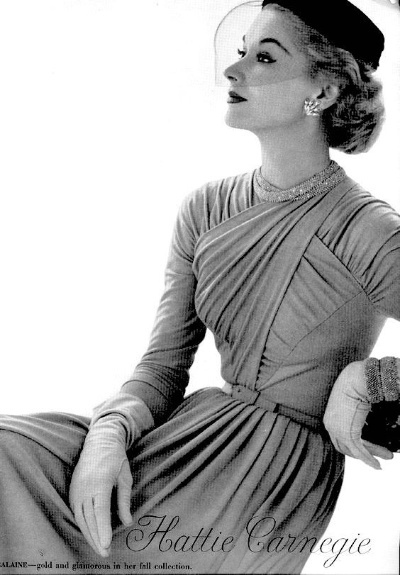 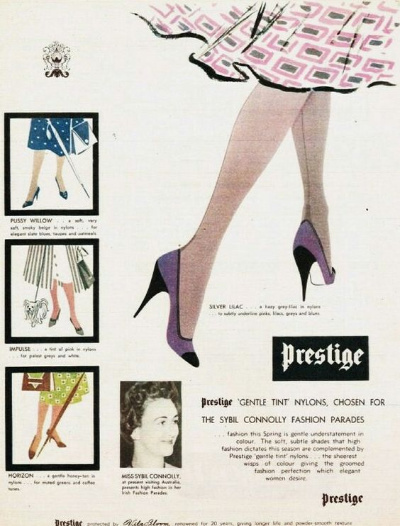 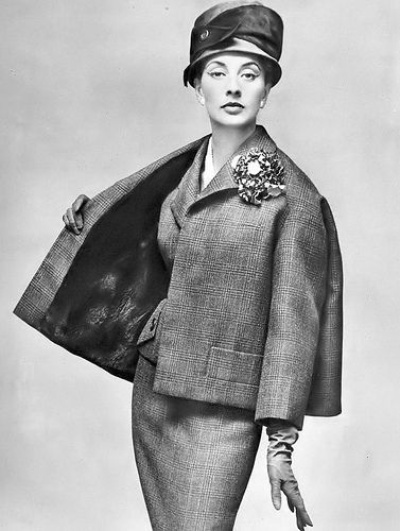 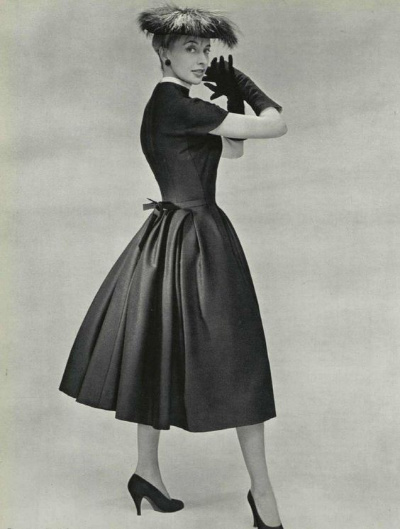 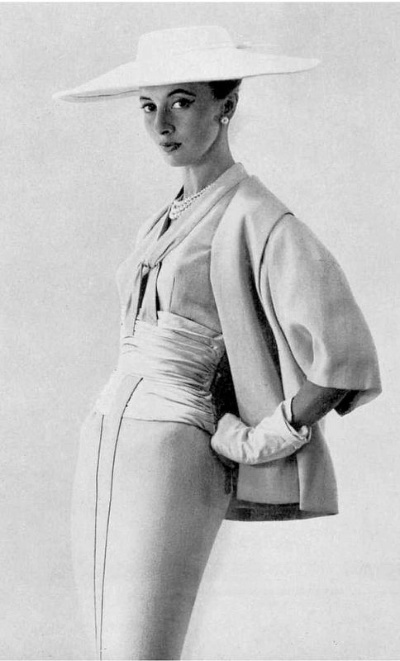 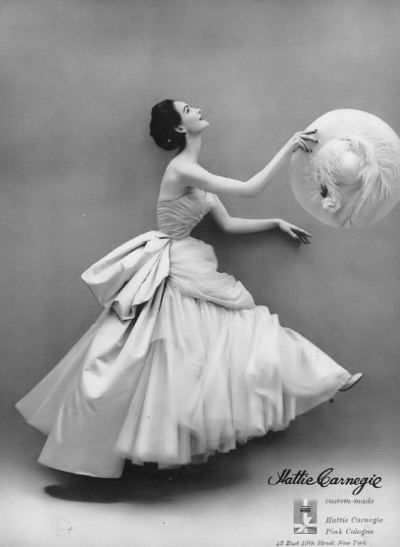 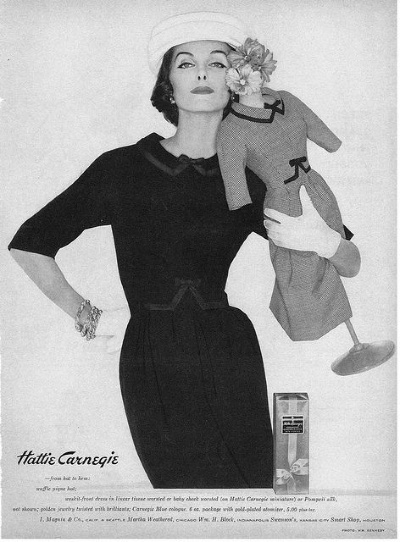 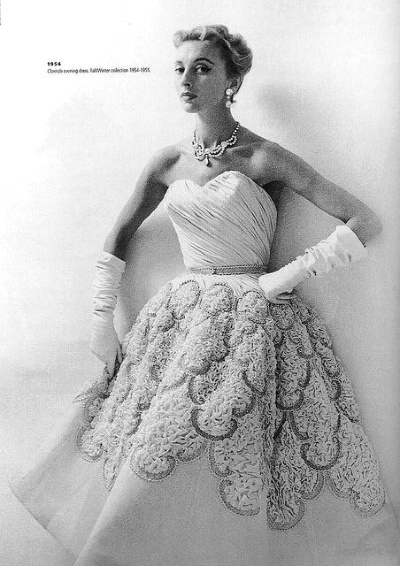 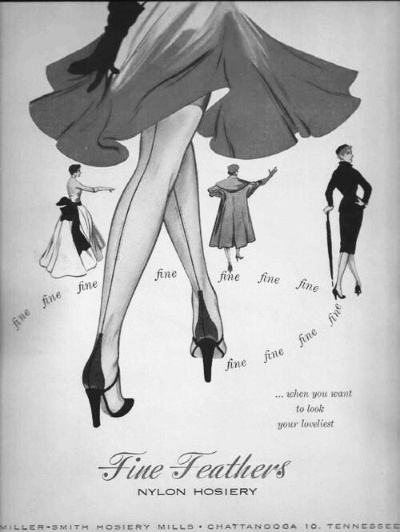 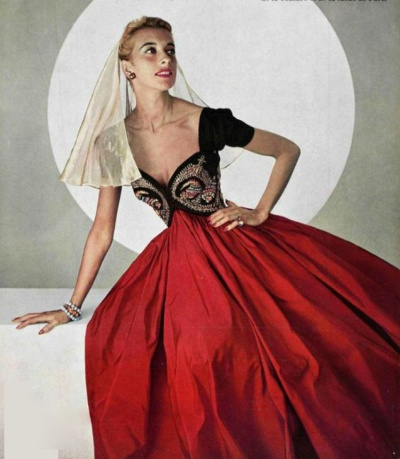 Let us know what you think of these fifties fashions.